1.Remote Camera Shooting: Remote Camera Function allow you to keep the most beautiful moment easily. Use this function after contact the fitness tracker with your phone. 2.Call and message on the cellphone can be synchronized to Smart Watch timely. It will remind you by vibrating your wrist and display the caller ID and message content. 3.Alarm clock function: After connecting with the app , you can set event remind for yourself. Such as long sitting remind, it can vibrate you if you sit for a long time. Time and Date: The current time and date based on your location. The device updates the time and date when you synchronize your device to a mobile device, you can not set the time manually. Download APP: Download H Band 2.0 APP for Android 4.4 & above on Google play. Download H Band APP for iOS8.0 & above on App store. All-day Activities Tracking: The smart band can track your daily activity. 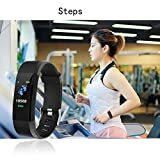 You can know the distance you walk or run and the steps amount, also the calories you burned. And it can be a sleep monitor in the evening. The smart bracelet can record your sleeping time and sleeping quality(light sleeping time and deep sleeping time). 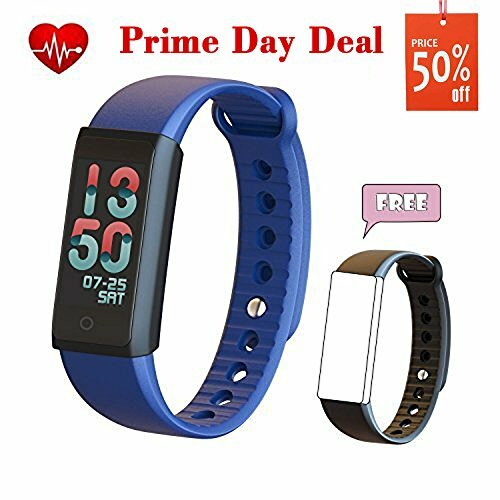 Color Screen Fitness Tracker: Our fitness tracker use advanced technology big OLED 0.96” color screen. It is easy to read message on the sunlight or in the evening. Big letter and big icon in the screen make your life colorful and convenient. There are 3 modes watch face that you can change it in the “Do Fit” app. 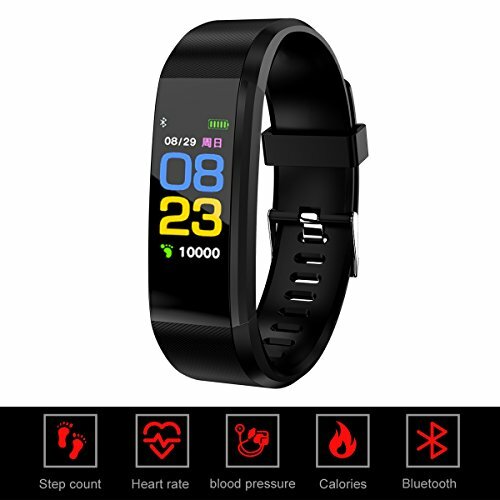 HR Monitor&BP Test and Blood Oxygen Test: You can use the heart rate function when you are relax or doing sports to know your heart rate anytime you like.The fitness band’s Green LED beam directly senses skin blood flow, you can test your blood pressure and blood oxygen conveniently. 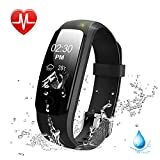 USB charging and waterproof function: Just pull open the strap and take out the bracelet body, then insert into the USB interface like charger, laptop or computer for charging. IP67 Life Waterproof grade resistant for sweat, rain, splash proof. 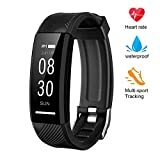 In order to use the fitness tracker longer you’d better not wear the fitness tracker when swimming and taking a shower. Warm note: The replacement band is a free gift for you! When you received the smart bracelet, please kindly charge it. After charging for an hour, you can long press to activate it. 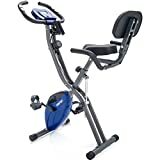 Please download the multi-function APP “Do fit” follow the user manual. 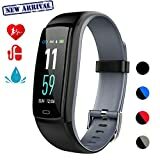 Feel free to contact us if you have any problem when using our fitness tracker, we will service you with full enthusiasm.